Good morning friends and happy Tuesday. 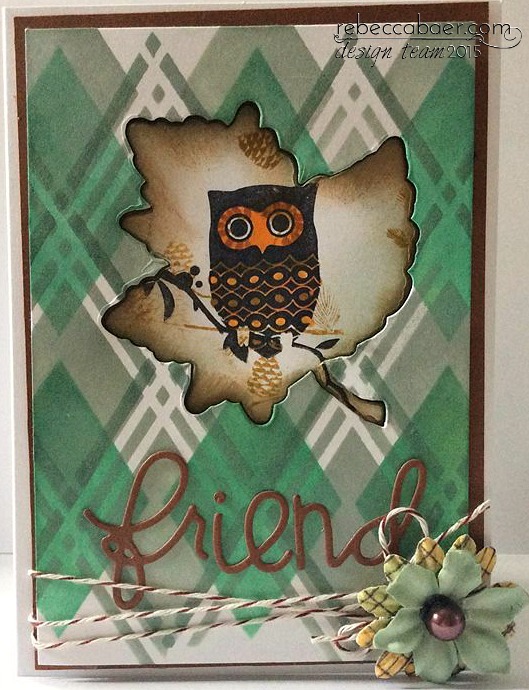 Kim here today to share with you a fun card project using the Petite Diamond Plaid stencil from Rebecca Baer. I created this 4 1/2 x 5 1/2'' card using white card stock as the base. I love fall, and was inspired by the season, but also by a dear friend who loves green and owls. I will be sending this card to her for a little thank you. 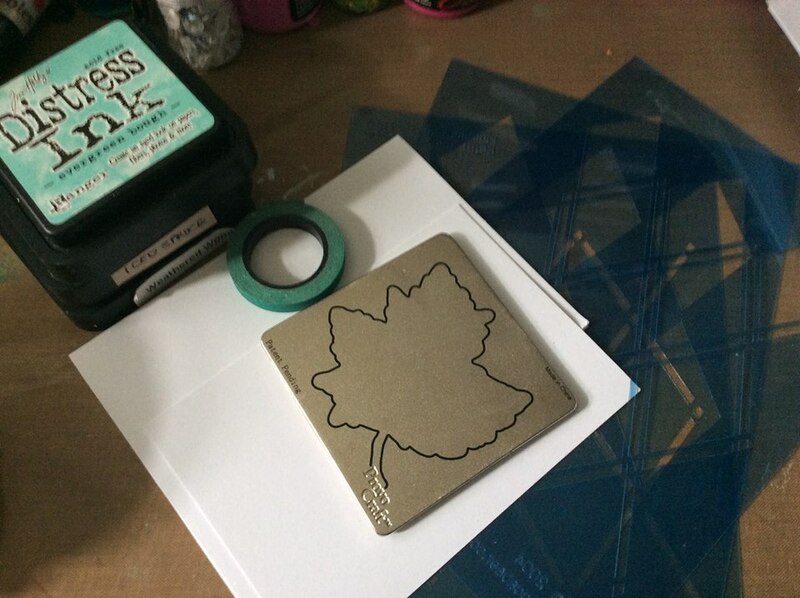 I started off with white card stock and die cut a leaf image out of the blank card, I set it aside to use later. 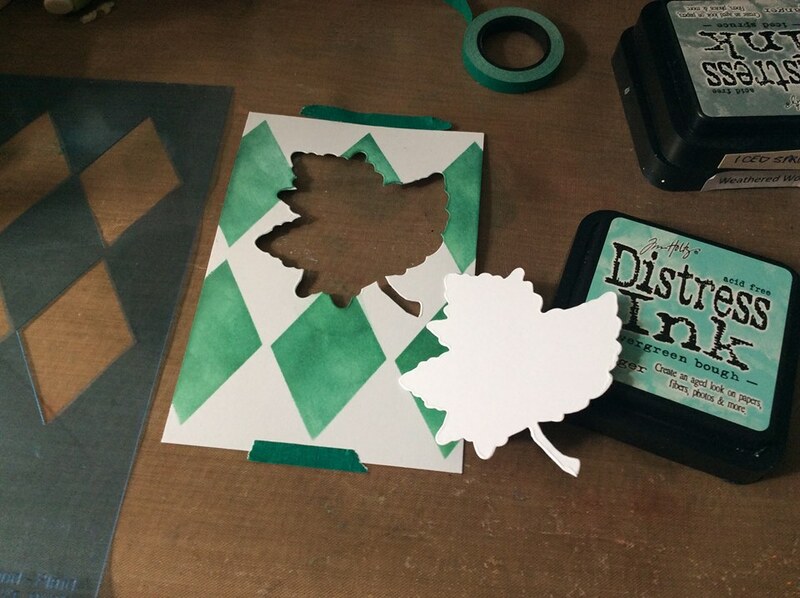 I started off with layering on the Petite Diamond Plaid stencil. This stencil comes with three layers. I love working with layers it gives such a great opportunity for dimension and colour. 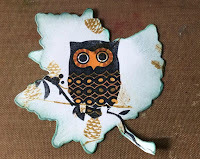 There is no right or wrong way to layer up this stencil so I just laid one on top of the other, using my Distress Inks in three different tones. Once the plaid design was achieved. 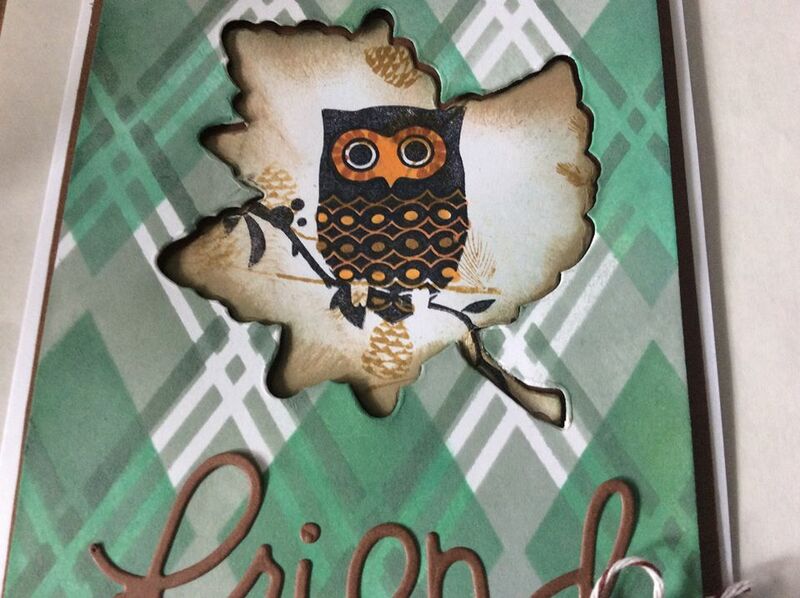 I got the die cut leaf out and stamped and inked up a cute little owl. I added some stamped pine cones in the background as well. I popped up the plaid piece with black foam tape and mounted it on some chestnut brown card stock from Recollections. 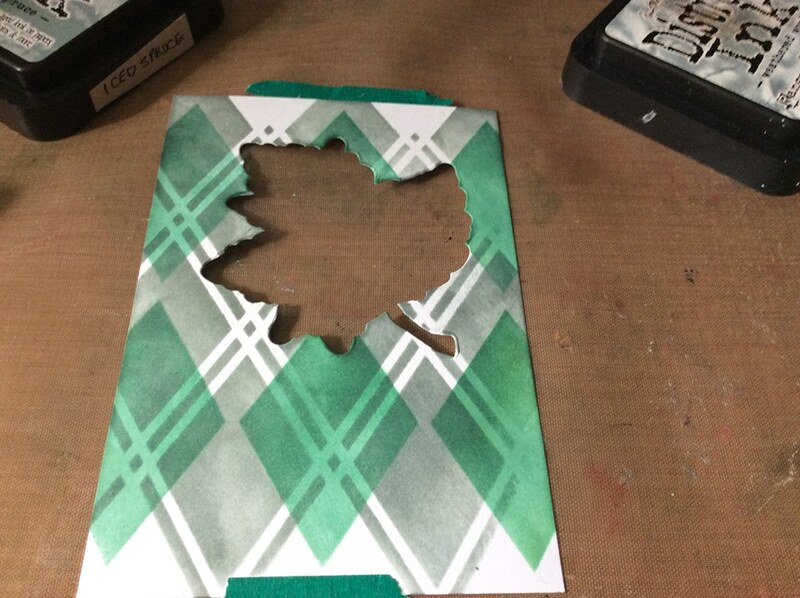 Once the plaid piece was in place I used score tape to tape down the leaf and inserted it into the card. By layering on the plaid and not the leaf it gave it some more dimension to the card. Lastly I die cut out the word friend and added some bakers twine and a small flower embellishment. Here is the finished product! 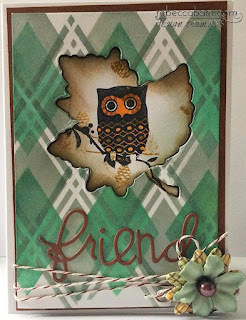 I love how it came out, and this stencil is fun and versatile, so watch for me to use it again soon, it has become one of my favorites!